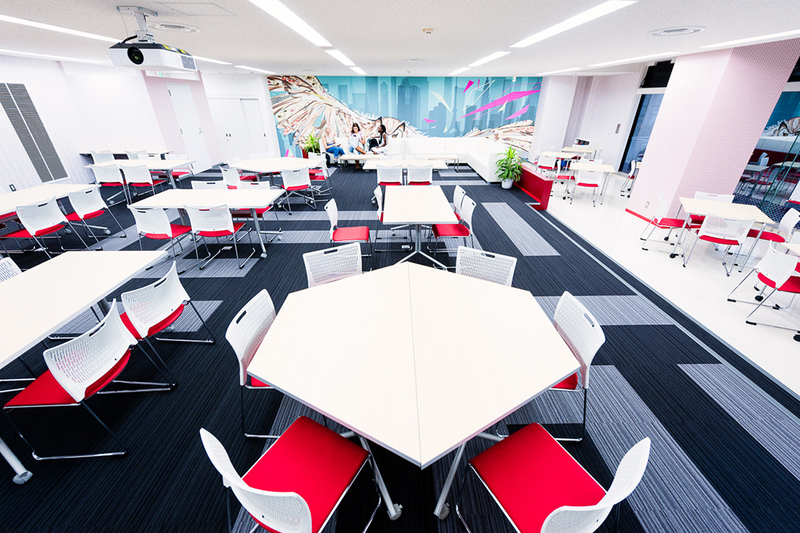 We designed the branding, signage and interior design for Temple University Japan's main building Azabu Hall. 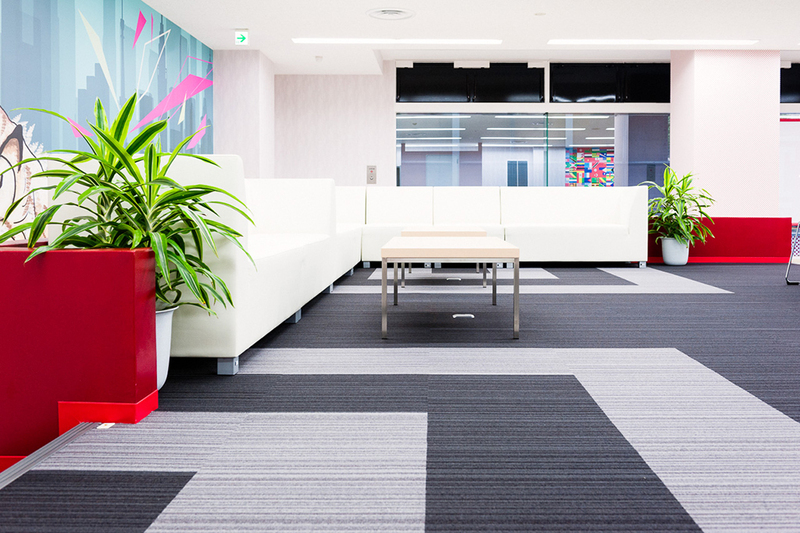 We recently re-branded Temple University Japan‘s Azabu Hall, having designed the exterior signage for the campus’ main building and designing the interiors for The Parliament, TUJ’s new street-facing student lounge. When birds are together in a group, that group has a specific name. For example, “a flock of seagulls” or “a murder of crows”. 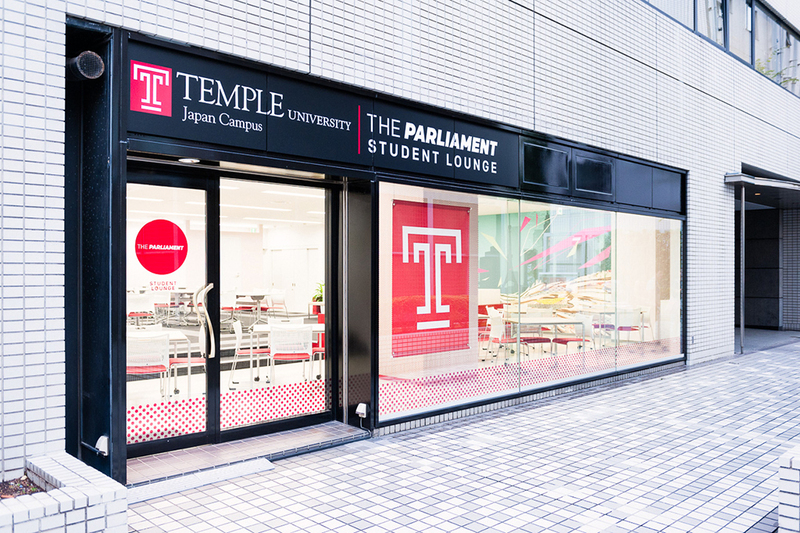 We came up with the name “The Parliament”, as Temple’s mascot is the owl, and when a group of owls are together, they are referred to as a “parliament of owls”. 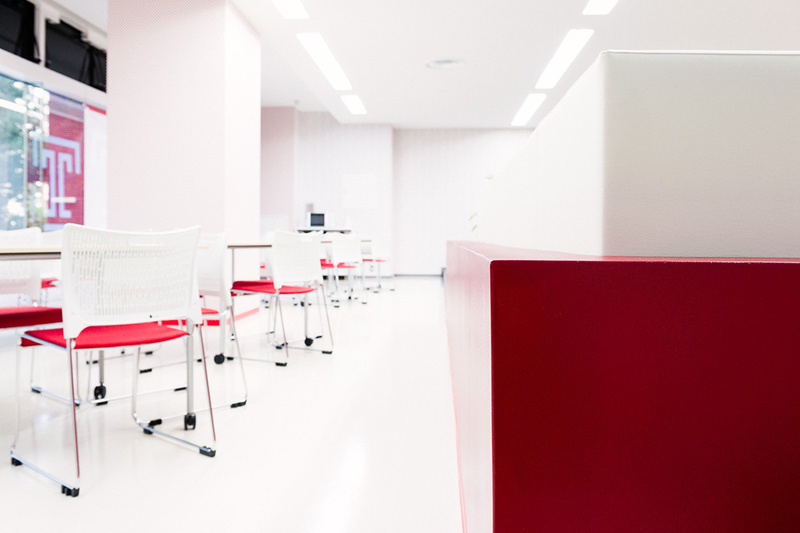 We designed all of the window graphics, exterior signage, and interior graphics. 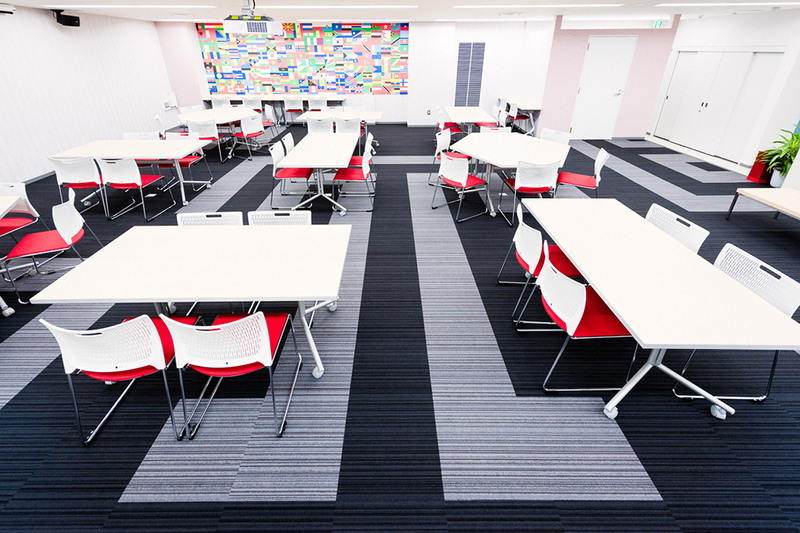 We also coordinated the furniture, color schemes, and came up with a custom modular carpet design that both highlights and abstracts the Temple logo. 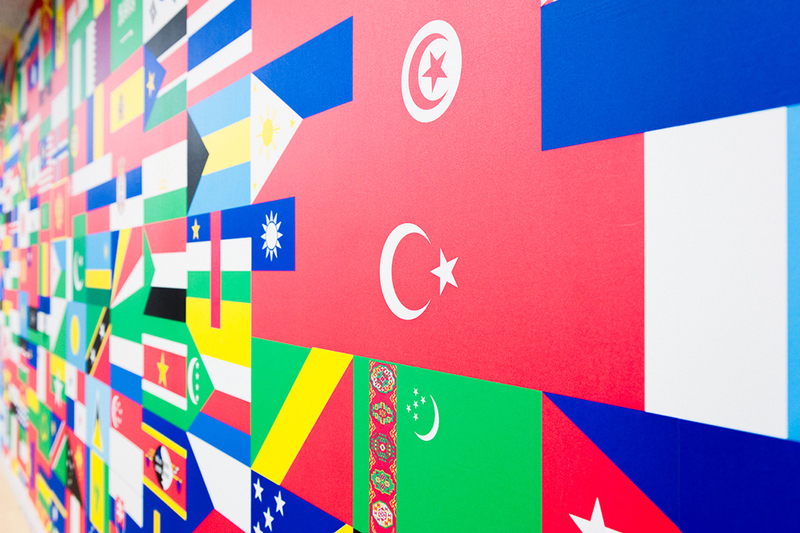 We worked with TUJ student Van Ha “Noah” Nguyen to finalize her graphic mural of an owl in flight that dominates one wall. 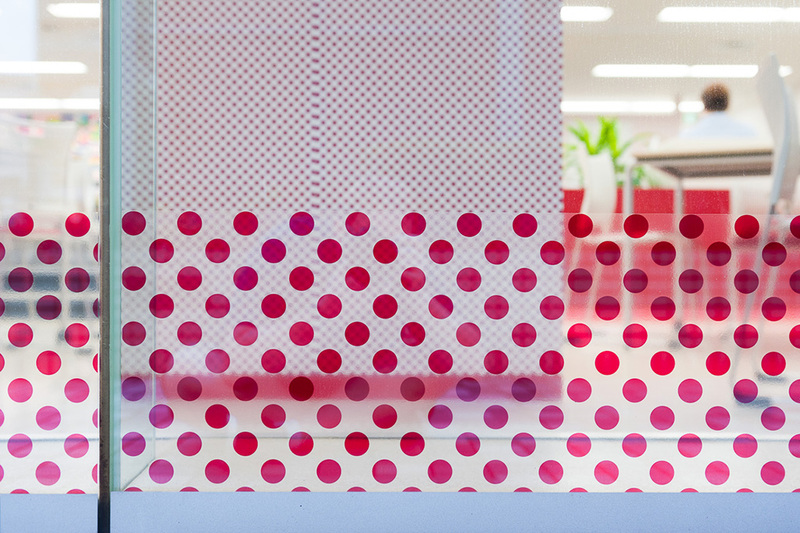 We adorned the other walls and windows with halftone patterns in Temple’s trademark cherry red at assorted sizes and densities to represent mimesis and the transmission of knowledge. 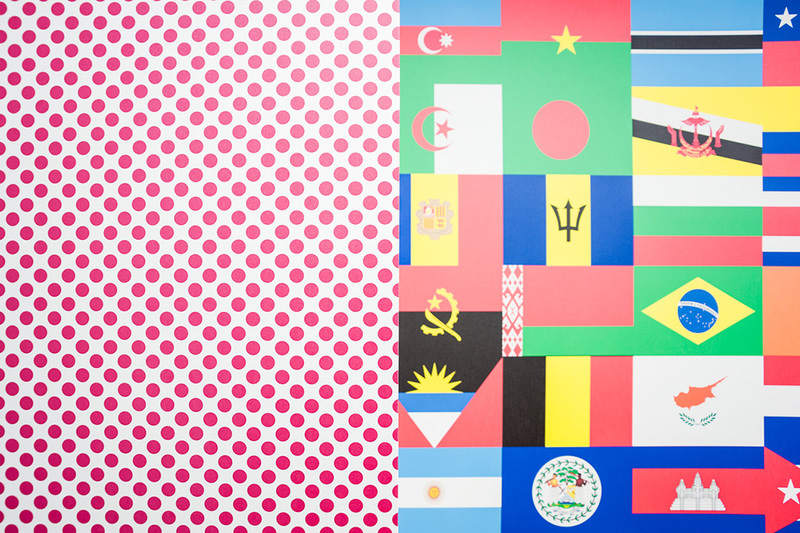 We also designed a wall that bears a graphic skin of the flags of the world, representing our student, faculty and staff body. 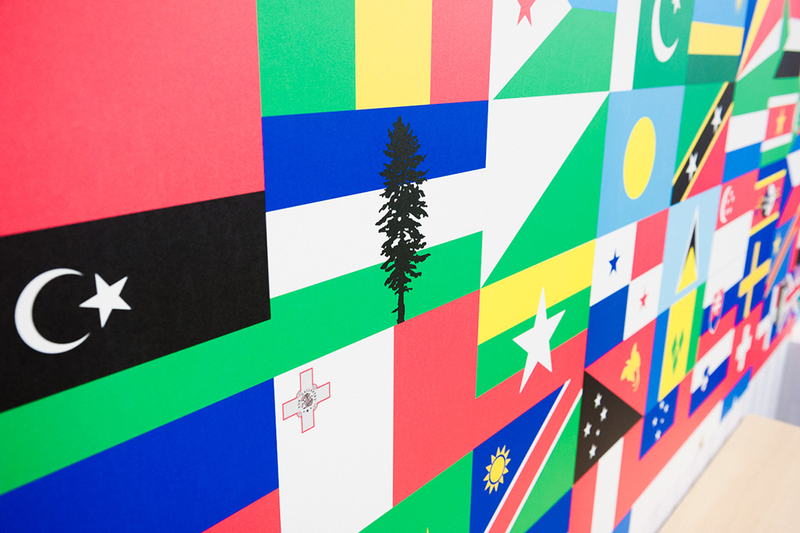 Included in this wall are flags for Cascadia, the potential separatist northwestern American neo-state as well as Nathan Blowers’ flag of Kleptopia, the representative symbol of individuals who are stateless. 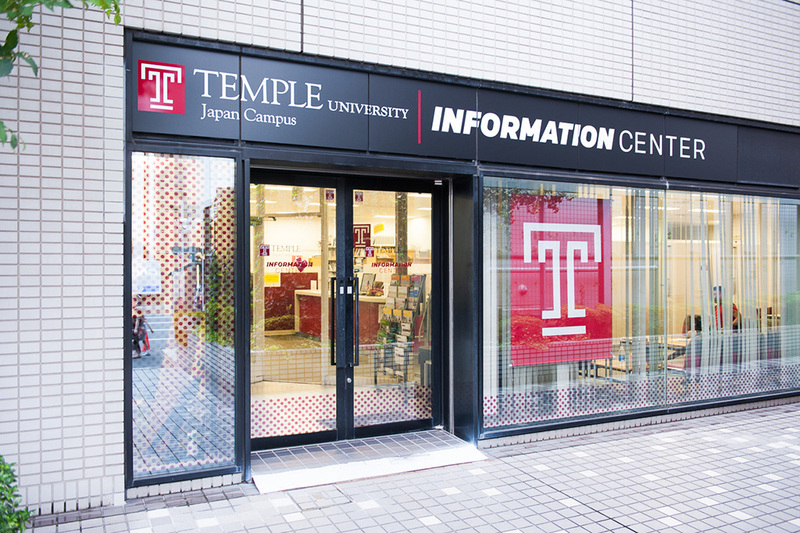 Having taught at Temple University Japan for nearly a decade, I am ecstatic to be able to contribute to the actual physical site and to have it be representative of a progressive aesthetic that neatly mirrors much of the work being done on campus.